Think of your header as your blog's calling card. The look of your header may be one of the things which help your readers decide whether your blog is worth following. Your content is important, of course, but so is the appearance of your blog. Not all bloggers can afford a professional redesign, but a well-designed and eye catching header can really help it look good. The main part of the header can either be an image or a logo. You can get this designed by an illustrator, graphic designer, or buy it from Etsy. But it's actually not that hard to design a header yourself. It may take a little time and effort, and if you can give both, it's totally worth designing your own header. If you could describe your blog's personality, what would you say? Is your blog's tone funny, serious, witty, or geeky? The concept of the header should match what your blog is about. It should be able to condense all that you write about in the design, whether through the font, symbols, illustrations, or photos. This header for ALLterNATIVE Learning clearly shows that the blog is related to nature, and being eco-conscious. This header for The Art Curator For Kids shows the personality of the blog, even though the name itself is self-explanatory. The best way to make a great header is not to go overboard with the design. Don't make it too busy, and leave appropriate white space (which doesn't have to be white) between the elements. 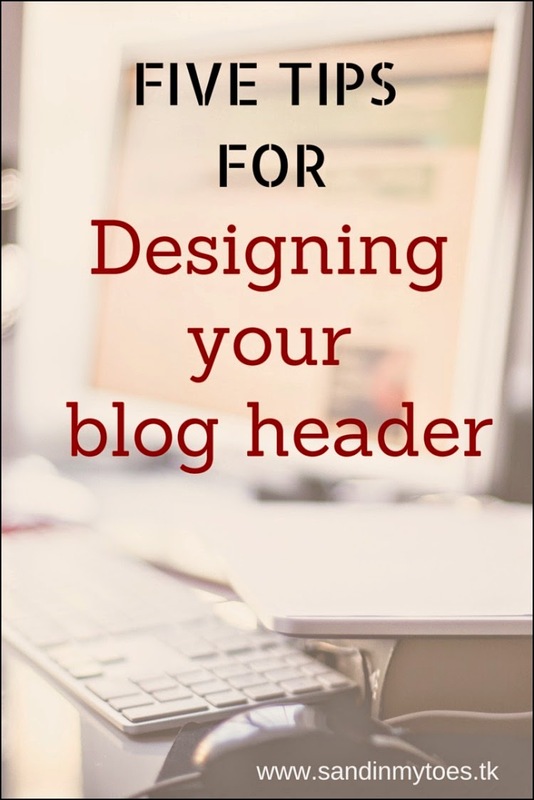 The header should be designed with the rest of your blog design in mind. Use similar colours and styles as your theme. You can be creative with the font, though, and make it different from the rest of the blog's text, because you want the blog name to stand out. Here's the header of And Next Comes L, which is text-only, and makes a good logo too. And another simple header on Danya Banya, which simply comes alive because of the star border at the bottom. Ideally, don't use too many bold colours in the same space. You might need some help choosing colour combinations because this can be a bit tricky. Use a site like design seeds to choose your colour palette. And this is worth repeating - respect the white space! It's especially important when you're using an image in the background. With an image header, you have to keep the text simple and avoid fancy fonts. Check out this header on Red Tart Art, which has a photo of the actual crafts on the blog. And the same with my own header. I used a blurb to make my text stand out against the background. There are many ways you can make your design unique to you. Use your own photos, or handwritten text, for instance. Use a font that isn't very common, or get a custom font through a site like Font Shop. Remember, there are thousands of blogs out there, and your design should instantly stand out and be identifiable from the rest. I like this header on Arts and Crackers - it's a unique blog name, so that called for image you can't easily forget! This is another great idea for a unique header - something handwritten. On Homegrown Friends, the blogger uses her child's writing as a logo. The blog header isn't just about a logo or your blog name. 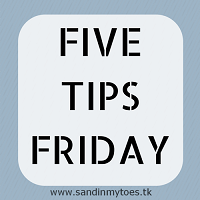 You can carefully use the header space to write a few words about your blog. Sometimes, a unique blog name doesn't quite give away it's content, so a descriptor is valuable. But make it short and snappy. Check out this header on Learning And Exploring Through Play. The blog name is long, but I like the short tag line which really completes it. Don't hesitate to get creative with your header. It's your blog after all! But it's always a good idea to get some feedback from fellow bloggers before you finalize the design. These are great tips, thank you for sharing. It's always interesting to think about why people choose the headers they do and how they relate to the blog. I designed my header as it reflected us as a heart family - four hearts representing the four of us with Jessica's heart being blue due to her cyanotic heart condition. You're right. It's worth doing right even if it takes time. Good luck with your redesigning! I think you have a lovely header, and that's a beautiful thought behind it! It does take time to come up with a design that's just right!